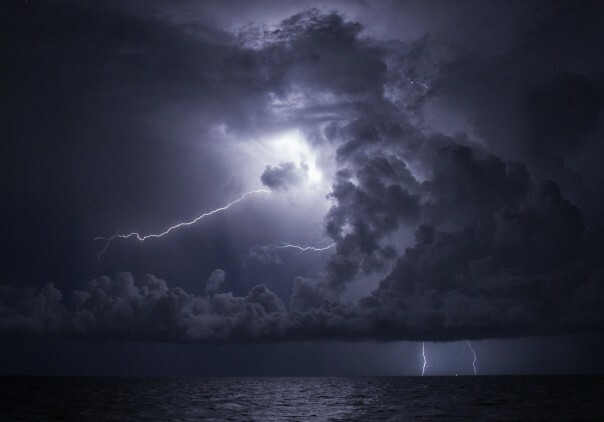 During the storm on the sea the disciples cry out in fear. Jesus calms the storm and comforts them, reminding us that when fear threatens to overwhelm us we seek the one who gives us strength. This entry was posted on Tuesday, July 4th, 2017 at 6:00 pm	and tagged with Catholic, Disciples, Faith, Fear, Homily, Inspiration, Jesus Christ, Mass, Storm and posted in Ordinary Time, Podcast. You can follow any responses to this entry through the RSS 2.0 feed. « 14th Sunday of the Year: Meek and humble of heart.